25 cm xiv, 514 p. : ill. The study of new media has developed within a wide range of academic disciplines and theoretical paradigms and has generated a great deal of excitement, hype, and confusion. 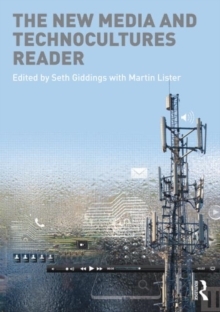 The New Media & Technocultures Reader gathers texts which map the cultural implications of new media, encapsulating and challenging key debates, theoretical positions, and approaches to research. The New Media & Technocultures Reader offers students further reading on and exploration of key issues and topics raised in the textbook New Media: A Critical Introduction. The Reader draws on various disciplinary stances (including visual culture; media and cultural history; media theory; media production; philosophy and the history of the sciences; political economy and sociology), offering readers a rich and interdisciplinary resource. Critical and accessible editorial commentary guides the reader between the extracts and through the debates.